Throwing your first event? Looking for press attention for your established events? Either way, media coverage builds fans and boosts revenue. Superlatives can raise the value of the event. Brainstorm, research and highlight your event’s objective (not subjective) superlatives. Journalists rely on facts, not opinions, so your event superlatives must be provable. Ask or poll your fans what media outlet they read or watch regularly. The answer is more and more likely to be a blog, a newsletter, a social media outlet, or other non-traditional media. This is good news, as many non-traditional media have shorter deadlines and more spots for stories. Gather your fan’s responses. Then take out media outlets that do not influence your local market because locals are more likely to buy tickets to your event. The remaining top 5 on this list are your targets. Add a location name to the title of your event and choose the largest community possible (i.e., the Northwest Beer Festival would attract more news value than the Bellingham Beer Festival). Media outlets need good visuals to get clicks, likes and shares. Find a photo or video that shows this visual aspect of your event. Keep in mind that media outlets typically won’t publish a photo or video unless it’s G-rated. Invest in professional headshots as well as at least one performance photo, all in high resolution. If you are producing a show with multiple performers, ask them for headshots as soon as you book them for your show. You don’t want to lose a story because you don’t have photography ready. Television stations aren’t likely to use promotional videos with music, graphics, credits or logos embedded over the video. Hire a videographer to get natural sound, close-up footage to maximize your media coverage. You have a great localized value proposition. You have an enticing event description and pitch subject line. You included at least one eye-catching visual. Time to get the word out. Submitting a free calendar listing for your event is simple. Newsletter, blog or even The New York Times, every publication has an event listing. And you can be part of it if you complete the first four steps and closely follow event submission instructions. Take your new top five media outlet list. Go to the online events section for every special interest group, blog or media outlet. Search for “how to submit an event” and follow the directions. If you can’t find it, send the press contact a short email that describes your event. Ask the publication if they would write about it or include it in the topics they share with their community. Boom. Your event is now listed on every single one of your top five media targets websites. Editorial teams frequently look at their calendar listings when assigning stories. Therefore, this effort increases the likelihood of an additional, more in-depth story. There are many ways to amp the press for your event. But these basics ensure that the press you get goes further to help you achieve your goals and reach new levels of success. Tags: event calendars, event marketing advice, press, publicity, Social Media. If you are producing a visual event, such as a festival, a class where you are creating something unusual, or a staged event with captivating costumes, consider holding a media preview. The purpose of a media preview is to get publicity and public awarenessbefore your event begins. If the media is interested in your event but has to wait until your show starts to write the story, then press attention will come only after your event is over – and that won’t help you sell any tickets. It takes effort to put a media event together, but getting reviews and exposure in the press can help draw a big crowd, making it well worth your time! Step 1: What is the most visual piece of your event? Figuring out the key visual elements of your show and deciding who you want interviewed as part of the news story are what you should focus on. If you are having an old-time car rally, pull a couple of the most interesting looking cars for the press. What can the reporter experience as part of the story? Can they ride in a vehicle, play the instrument or participate in any other way? The more interactive the media preview, the more reporters you will attract and the more interesting the story will be. Step 2: Plan the date and time for your media preview at the easiest time for the media to cover it. This means weekdays with a start time between 10:30 a.m. and 12:30 p.m. If your press event has to be at night, realize that you may have less press in attendance. Less press is better than no press, however it is a resource that you should maximize as much as possible. Step 3: Invite the media sooner rather than later. Give the press a notice of 4 to 6 weeks minimum, if possible. You can email invitations, but if you really want to receive press attention, create and send a physical piece of mail that is not flat, helping it stand out from the rest of their mail. Step 4: Have everything ready in advance. Step 5: At the event, treat the press like royalty. Give them a freebie, some refreshments if possible, and a fact sheet on your event that includes the key marketing points that you’d like them to include in their stories. Don’t forget to include your business card so, if needed, they can ask questions later. Make sure each media representative gets an equal opportunity for the interviews and visuals he/she needs at the event. If you could use more help or ideas while planning your media preview, don’t hesitate to call and/or write us! We are at your service atPromo@BrownPaperTickets.com or (800) 838-3006 (Option 5). Tags: Event Success, media preview, press. Have you ever picked up the newspaper and wondered how a business received press coverage? Always felt like press was out of your scope? Good news: it’s not as hard as you may think! As long as you know how to tell your story and who to tell your story to, you’re on a path to publicity. Here are three simple steps and tips to get started. 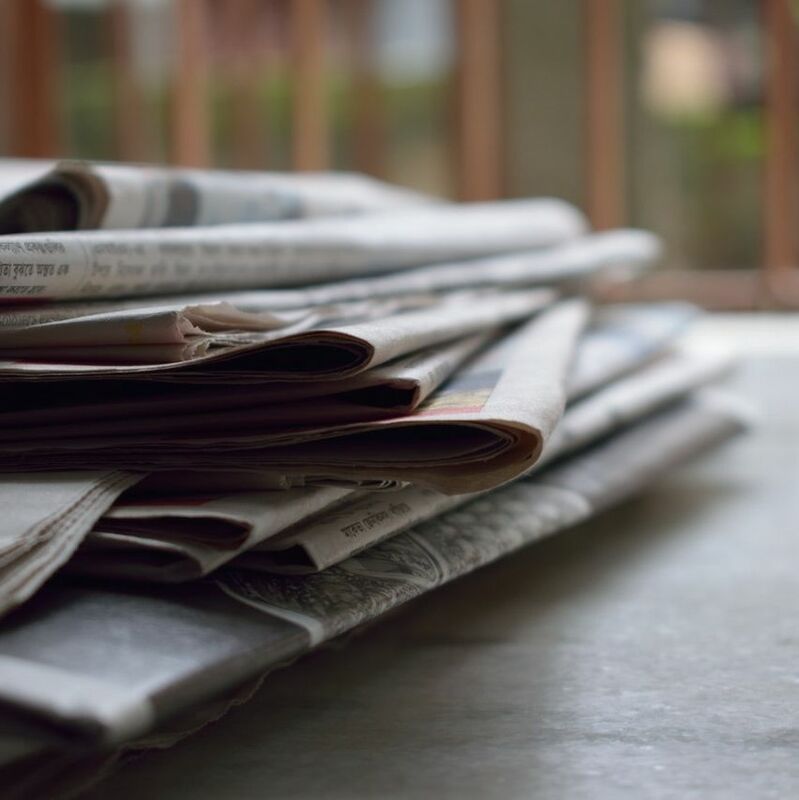 Before you begin reaching out to press, it’s important to build a targeted media list for more purposeful communications. Build a publication wish list. Include radio, television, newspaper, magazine, and blog publications you’d like to be in. Think about what your customers read or watch and make note of those. Build a list of reporters you find in those publications who are writing stories that are related to you. Make note of the angles and themes being discussed in those publications. This will help shape your release. Evaluate your cause. What makes you different from the rest? Your answer will be your news hook. Write your press release in old school 5 W’s style, the who, what, when, where, and why, to cover all of your points. Support your story with specific, measurable facts to prove your point to make your press release stronger. Avoid generalities. Write a creative, newsworthy headline in eight words or less. This step is critical. If it’s not intriguing, they may never open the email in the first place! When you are ready to send your story, put your release in thebody of the email, not as an attachment. Many computers won’t allow attachments to be opened. We don’t want your efforts to be wasted! Send a short, personalized pitch letter to each journalist on your list with your press release. Schedule your press around other news worthy dates. Holidays are a great place to start. If possible, send your release in advance. The more time you give the reporter, the easier it will be to land the pitch. If you have a phone number, you may call the journalist the next day to see if they received your release and to answer any questions. If the journalist is not interested, politely thank them and hang up. If you do not have a phone number, folow up by email after a week or two. Avoid spamming. Press releases and press “pitches” need to be tailored to the specific reporter receiving them. Take the time. Good luck and remember to be patient. It’s unlikely for a story to be placed on the same day you send the release. Sometimes they will use it when it fits into their schedule, but that could be months down the road. Lastly, remember to keep your relationships positive. A reporter might not pick up your story today, but they might in the future! Looking for an example? Click here. For additional help with PR and pitching, send our PR cognoscente, Barb Morgen, an email at: Barb@BrownPaperTickets.com, and she’ll be happy to help you! In the Seattle area? Great news! Barb will be hosting a FREE PR workshop on how to get media to notice you on September 11th. Sign up here! Tags: Event Success, PR, press.